﻿Cozy is a haven and hub for modern yarn artists in Eugene, Oregon. ​Visit, and surround yourself with color, texture, and inspiration. Knitters, crocheters, and yarn lovers of all affinities and abilities are welcome at Cozy! Cozy will be closed Sunday, April 21st, for the holiday. 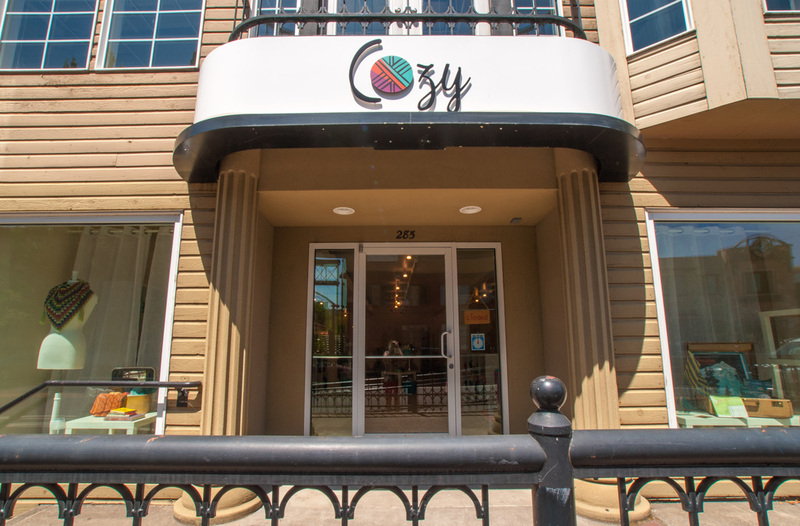 Cozy is located at 285 E 5th Avenue in Eugene, north of the Fifth Street Public Market. Cozy features yarns from Cascade, Dream In Color, Malabrigo, Imperial Yarn, EweEwe and more.